To begin your Volvo S40 parts search, click a year from the list above, or use the Vehicle Selector at the top of the page to choose your exact Volvo S40. The S in Volvo S40 stands for "saloon", or sedan. Volvo originally named it the S4, but it conflicted with Audi's S4 and the name was quickly changed to S40. The S40 was produced by Volvo starting in 1995 and went through two generations before Volvo replaced it with the V40 in 2012. In 2000 Volvo updated the model, adding a number of upgraded S40 parts. Volvo improved the engine management, the direct diesel fuel injection, extra safety features, larger disc brakes, and new front and rear suspension, among other parts. Volvo also added larger headlights and redesigned certain instruments. In the middle of the 2004 model year Volvo introduced the second generation S40, based on the Volvo P1 platform. The new S40 was nominated for World Car of the Year and won Car of the Year awards in South Africa and Canada. 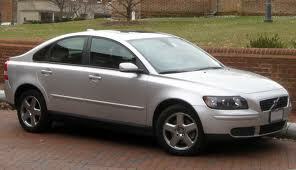 eEuroparts.com offers a wide variety of Volvo S40 parts in both genuine and aftermarket. Whatever you're looking for, we carry the Volvo S40 parts you need. As always, free shipping is available on orders over $50.